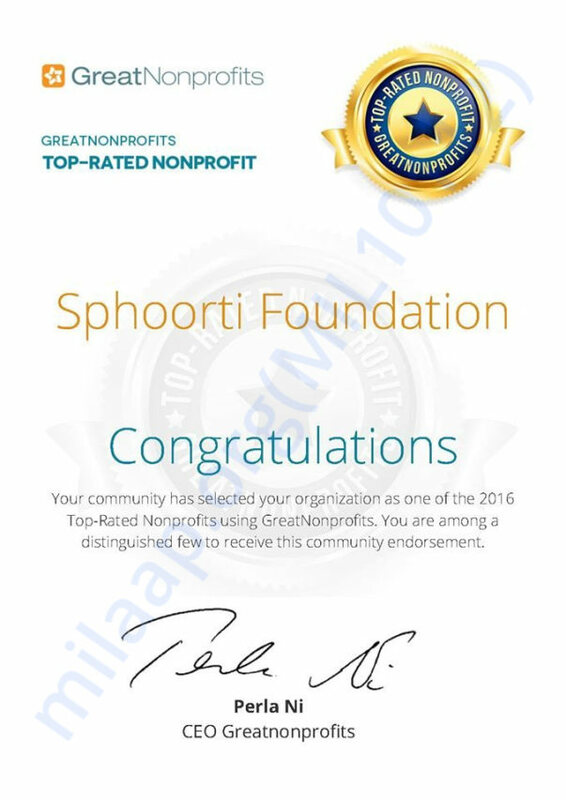 On Aarohi and Tanush B'day we would like to help Sphoorti Organization. 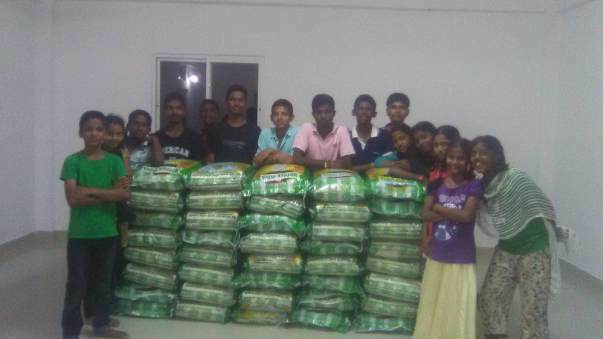 The campaign aims to provide quality food to 200+ children for the next one year. Most of these children hail from impoverished communities and were bereft of proper care and nutrition in their initial years. The beneficiary children are mostly orphan and destitute children. The project will include following a healthy diet regime suggested by qualified dietitians and follow up with regular health camps to assess the impact of the program. Through proper health and well-being, the beneficiary children will be able to complete primary and secondary levels of education and transform from being undernourished to healthy adolescents and adults. 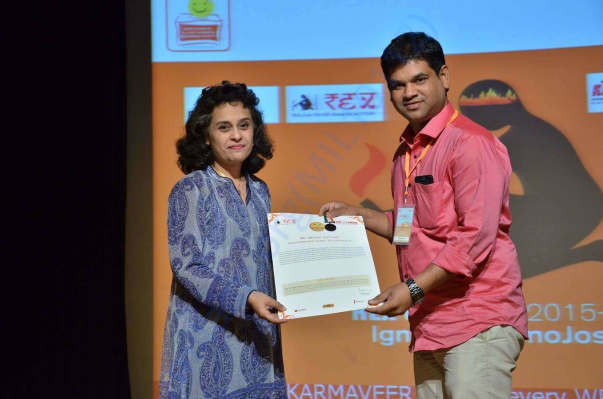 Thus, the wider objective of the organization to provide access to higher education and wider career options will be fulfilled. In all, we serve approximately 175,000 meals in a year. On an average, a meal costs Rs 16. The estimated cost of Sphoorti Food Program is Rs 16 x 175000 = Rs 28,00,000. Your support will ensure that children have food which is always available, accessible, healthy and nutritious. Spread the word among your friends and family. Dear friends, thank you very much for your support to our children. Sphoorti children are doing good, they moved to the higher classes after Annual examinations held in April. They had summer break between April and June and returned for the new academic session three months ago. This year, we have added more than 75 children. With 230 children on Sphoorti campus in Dundigal and more than 50 children studying STD XI and above in various Residential Colleges in Hyderabad, we have more than 275 children to care for. In May, the STD X results were out and 14/14 Sphoorti children passed STD X with good results. We also had a good result in Engineering Entrance examinations with 7 children entering Engineering Colleges this month. Two of our children also joined Commerce Stream in Bhavan's Degree College. We also have a focus on Gond community, a very underprivileged one among tribal societies of India. We are trying to rehabilitate more than 40 children from the community. In the last academic year, more than 112 students scored more than 7.0 GPA in their Annual examinations. Recently, we inaugurated the Sphoorti Wellness Room sponsored by one of our benefactors Mr Raghubir Saluja. With your support, our journey will be only more exciting, reaching out to more children in need and churning out more inspiring stories. This year, we have hired 6 more caretakers and in the process of sponsoring 4 more private teachers in Government schools. We are laying special focus on STD IX and X children so that they are well prepared for their Higher Education. Thank you so much for your tremendous support. We couldn't made it this far if we didn't have you by our side. It gives me immense pleasure in informing you all that we have successfully been able to accommodate 220 children in our orphanage and we are hoping to take in more kids. We provide them meals and education. In food, we given them a healthy breakfast, evening snacks and dinner. 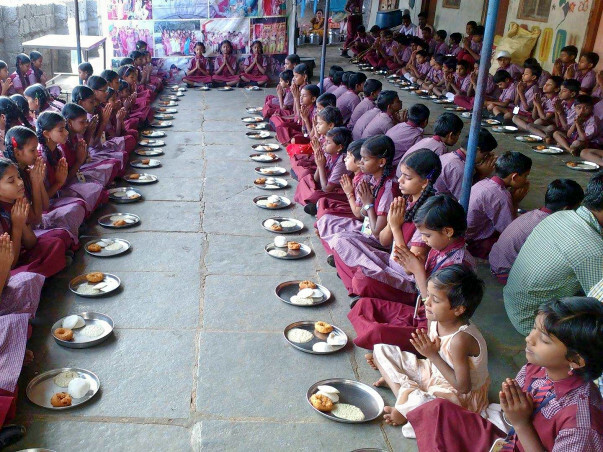 They are given mid-day meals in school. Every Sunday, we cook something special and every month, we have birthday celebrations wherein, we give them pizzas and burgers and cakes. We encourage children to follow their passion. Currently, there are kids who have attended seminars, science fairs, conferences and some who have gotten scholarships too. This year, about 25 kids took the class 11 and 12 board exams and about 15 who appeared in class 10 board exams, apart from the rest of the kids in other grades. Presently, we have one building which accommodates these 220 kids. We are coming up with a new building to accommodate another 100 children which will then increase our strength to 320. We also have a computer lab where we teach them the basics of internet, MS Office and other such things. We also have volunteers who come to teach them dance and music. To keep them physically fit, we provide them Taekwondo classes. Please keep supporting us so we can help these children have a bright and a secure future. Trust you and your family members are doing good. Thank you so much for your support to our campaigns, the Food Campaign in particular. With your support, we do not have to worry about feeding our children. Instead, we are able to concentrate on building their futures. We now have 150 + children in the Dundigal campus, 50 children (Inter and beyond) in our Cherlapally campus and more than 10 children (Intermediate) in other Residential Junior Colleges in Hyderabad. 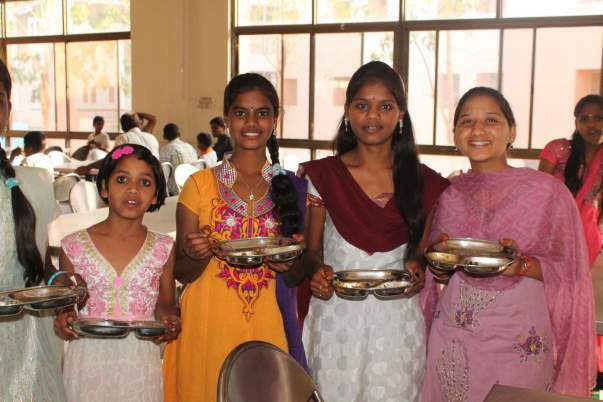 This year, more than 10 Sphoorti children took admission in Engineering. One of our children secured admission in Computer Science in Sreenidhi Engineering College. Sreenidhi is one of the best Engineering Colleges in Hyderabad. We also have about 10 children who took admission in BSc and BCom in Bhavan's Vivekananda Degree College which is one of the premier Degree Colleges in Hyderabad. We spend more than Rs 40,000 per child towards College Fee. In Dundigal, we have almost wrapped up construction of the rooms. We are extending one room and also some rooms for staff. We have started working with children from Gond tribe. These children come from abject poverty conditions hailing from interiors of Adilabad tribal areas. These children do not speak Telugu.We are putting in extra efforts to mainstream them. We are adding 20 more children from their community this year. On July 16, we completed 11 years of Sphoorti. On that occasion, we inaugurated our kitchen and dining area with a lot of enthusiasm from our children. On September 10, JJ Metta Memorial Library at Sphoorti was inaugurated by JJ Metta Chairman Ms Usha. The library has more than 1000 books available. On Oct 11, the Global Vice President Mr. Vivek Mokashi inaugurated the Computer Lab sponsored by Hexagon (Previously known as Intergraph). To provide more privacy to children, we also distributed 200 stainless steel trunk boxes to all our children. During July and August, we celebrated festivals like Bonalu, Raksha Bandhan, Vinayaka Chaviti and Deepavali. Your support over the years has been very valuable in our journey. Happy Birthday Tanush and Aarohi! Very nice thought Rohan and Tapan.